The teams are set. The Memphis Tigers are taking on the Demon Deacons in the Birmingham Bowl on December 22. Started in 2006, the Birmingham Bowl is one of fourteen bowl games owned and operated by ESPN Events. But, as the only bowl in the country aligned with both the Southeastern Conference and the American Athletic Conference, it’s definitely one of a kind. Make a weekend out of your Birmingham Bowl trip with our 2-day itinerary. The most joyous place in town. 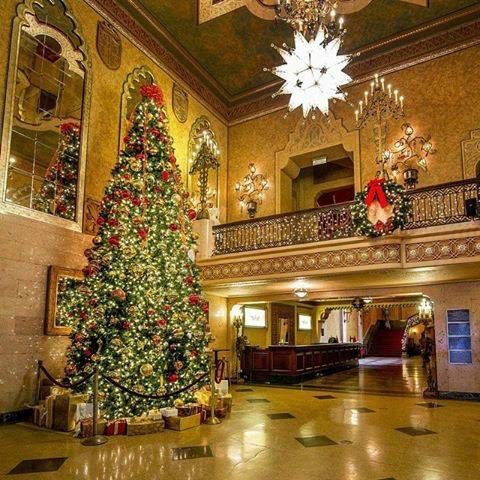 Head to the Alabama Theatre multiple dates this month as they open with carols on their Wurlitzer organ and end the night with a showing of a classic Christmas film on their big screen. The zoo is an even bigger spectacle this time of year. For the 25th Zoolight Safari, the Birmingham Zoo is bringing the festivity through elaborate displays, activities and more. 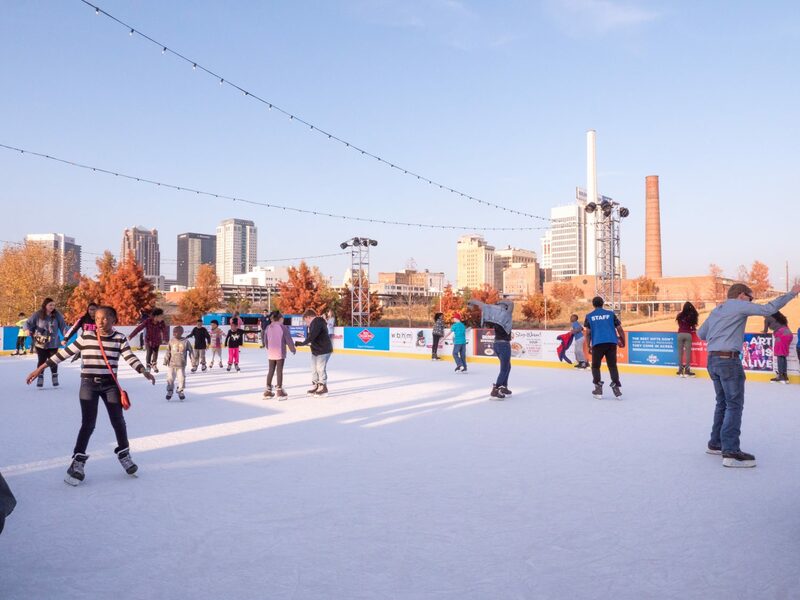 Take a spin on the ice with the Birmingham cityscape as the backdrop. The 50’ x 80’ rink will be open 7 days a week, only closing on Christmas Day. The Boxcar Cafe will be fully stocked with Red Diamond coffee and tea, homemade hot chocolate and warm, delicious meals. Take a train ride filled with Christmas Cheer as you ride the Santa Special! Board our vintage train decorated for the season and take a train ride where Santa will visit with all the boys and girls. Santa will have a treat for every boy and girl! Birmingham’s professional hockey team returns for 5 home games this month. The action is non-stop! With heart pounding music, and contests, what are you waiting for? It’s an experience to remember. College basketball is back in action and Birmingham is no stranger to strong teams. Check out the schedules and cheer on our local athletes. Alabama Ballet is proud to present George Balanchine’s The Nutcracker® as one of only eight companies in the world licensed by The Balanchine Trust to perform this holiday masterpiece. Tchaikovsky’s beloved melodies transport the young and young at heart to a magical world where mischievous mice besiege a battalion of toy soldiers, and an onstage blizzard leads to an enchanted Land of Sweets. Guests can sled down the popular giant slide between the third and second floors in the museum. Or try the zip line, now longer than ever before! Children can even ride a train inside the museum! Families also have a chance to see toy trains of every shape and size zipping around the tracks in the Magic of Model Trains area. Located on six acres in the heart of Old Elyton, Arlington House and Gardens is on the National Register of Historic Places. Friday-Hanging of the Green, Candlelight Tour and Reception. There will be entertainment, Santa and refreshments. This is a family event, so all ages are encouraged to attend. This is the story of a young hero boy on Christmas Eve who boards on a powerful magical train that’s headed to the North Pole and Santa Claus’s home. During this ride, he embarks on a journey of self-discovery which shows him that the wonder of life never fades for those who believe.